Early repolarization (ER) has been considered a common benign ECG pattern among young athletes. 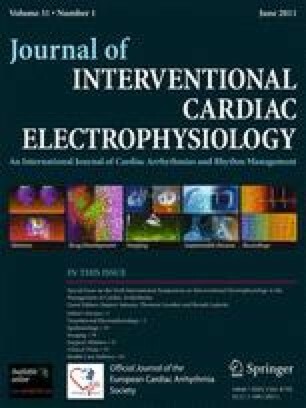 In contrast, an inferolateral early repolarization pattern has been associated with an increased risk for sudden cardiac death (SCD). The aim of the study was to assess the prevalence of inferolateral ER among young collegiate athletes and to describe the characteristics associated to the pattern. We analyzed ECGs from 503 athletes (51% males; age range, 17–24). Information on gender, body weight, race, sport, and family history of SCD was collected. ER was defined as a slow deflection of the down slope of the R wave (≥0.1 mV) or positive wave at J point (≥0.1 mV) in two consecutive inferior or in lateral leads. Additionally, we included voltage measurements according to the Sokolow–Lyon criteria and RR interval measurement. The prevalence of ER was 30% (inferior, 20%; lateral, 21%; both, 11%). Male gender (59% vs. 48%, p = 0.019), left ventricular hypertrophy (LVH) voltage (39% vs. 12%, p < 0.001) was significantly associated with the ER pattern. In addition, there was a trend towards longer RR interval in the inferior ER group (p = 0.06) and there were slightly more African–Americans with ER compared to non-African–American (34% vs. 28%, p = 0.22). Among females (p = 0.039) and African–Americans (p = NS), the association of LVH to ER was not as strong. ER is a common finding among young athletes. The ECG marker of LVH is the dominant shared characteristic among the athletes with ER, along with male gender and a trend to greater prevalence among African–American athletes. This study was funded by Fondation Leducq, Paris, France (Juhani Junttila and Robert Myerburg) and the Florida Heart Research Foundation, Miami, Florida (Robert Myerburg). None of the authors have financial relationships with the organizations that sponsor the research.